Phuong Trang (FUTA Buslines – Orange colored bus). Travel by 45-seat express bus. Duration: 3-4 hours. Rest-Stop: 15 minutes. Stop at Phuong Trang Reststop with restaurant, souvenir shop, public toilets. Price: VND 110,000 (about 5USD). Free mineral water, free wifi at bus station and onboard. 395-397 Kinh Duong Vuong Street ,An Lac Ward, Binh Tan District, HCM City. 202, 231-233 Le Hong Phong, Ward 4, District 5, HCM City. Duration: 3-3,5 hours. Rest-Stop: 10 minutes. Schedule: Every Hour at night and every half-hour at day. 266-268 Le Hong Phong, Ward 4, District 5, HCM City. Son Nguyen Limousine – High Class Service, travel by D-Car with 10 seats only. Schedule: Every Hour form 5-22h everyday. Price: VND 120,000 (about 5USD) for normal seat/ 160,000 – 170,000 VND for massage seat. Free mineral water, free wifi at bus station and onboard. 450 Cao Thang, Ward 12, District 10, HCM City. How to know if you have arrive in the City of Can Tho. Before arrival at the Can Tho Bus Terminal, you will notice a gigantic hanging bridge from the Vinh Long province- Can Tho Bridge. 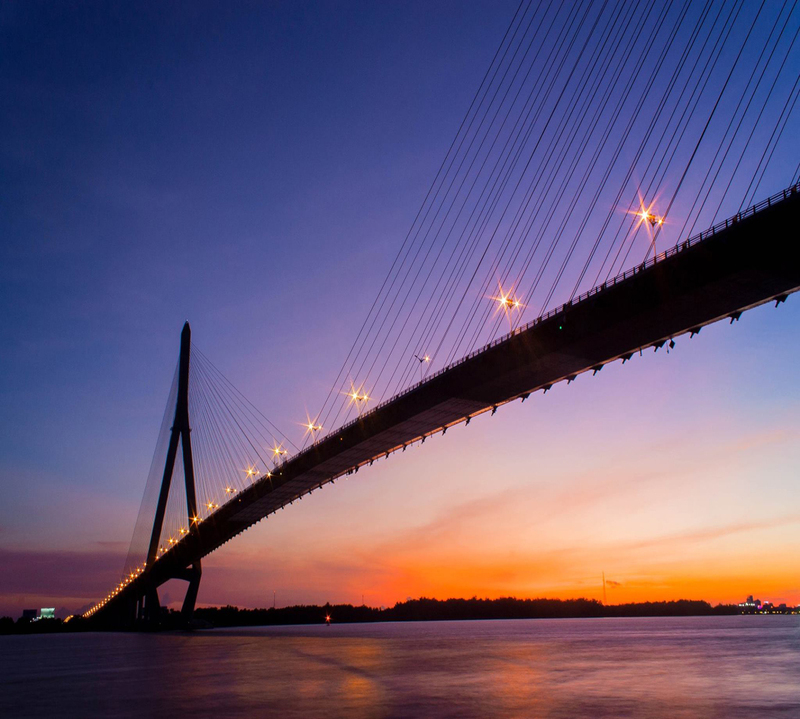 The bridge spans over Hau river and connects Can Tho City and Vinh Long province in the Mekong Delta region in Vietnam. Upon Arrival at Can Tho Bus Terminal, remember to carry along your belongings, baggage and important documents. Free transfers provided by the bus company are available, remember to ask the bus conductor when they check on your bus ticket. When alighting from the bus, there are many taxi drivers and cyclo to take their service. Your Hotel in Cantho city can help you to book your return bus tickets. Remember to inform them which bus you would prefer. Do note that there will be a free pick-up from your hotel. You should book bus ticket from the hotel you’re staying and not with travel companies because you may have to pay extra. – Trip to Cantho group.